Recently I spoke of our difficult decision regarding the cancellation of our Californian roadtrip and how the uncertainty regarding America’s upcoming election had played some part in this. In my other life- the one where I have to stay still- I was presented with this. 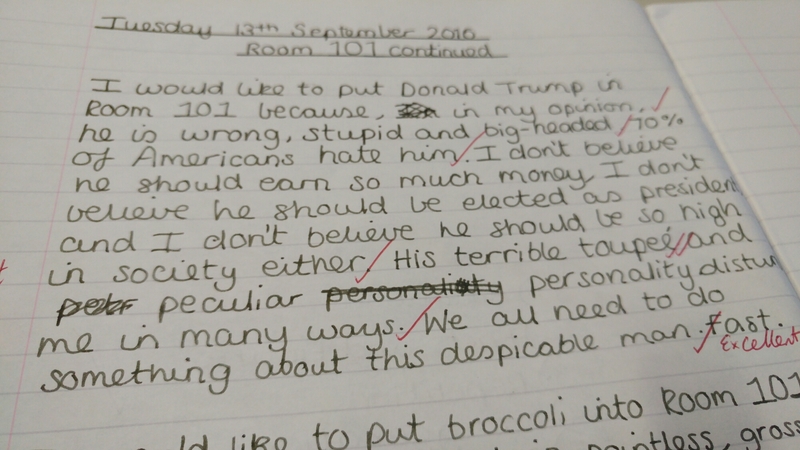 Written by a 12 year old girl in my English lesson. Out of the mouth of babes, eh?